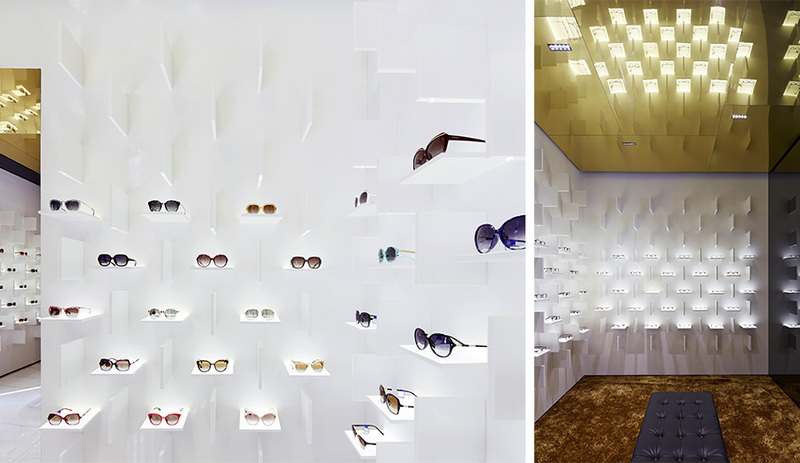 Working with Ippolito Fleitz Group, the German studio of Pfarré Lighting Design casts Bolon Eyewear’s Shanghai store in a good light. Everyone wants to be cast in a good light, figuratively speaking or not. 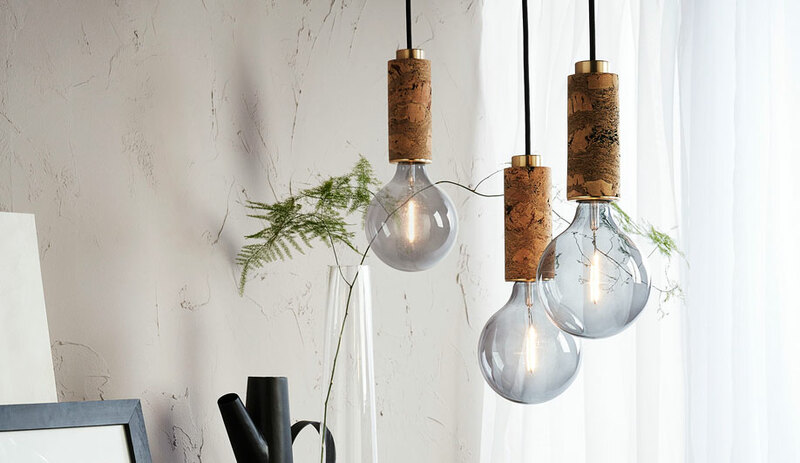 The work of Pfarré Lighting Design does just that. 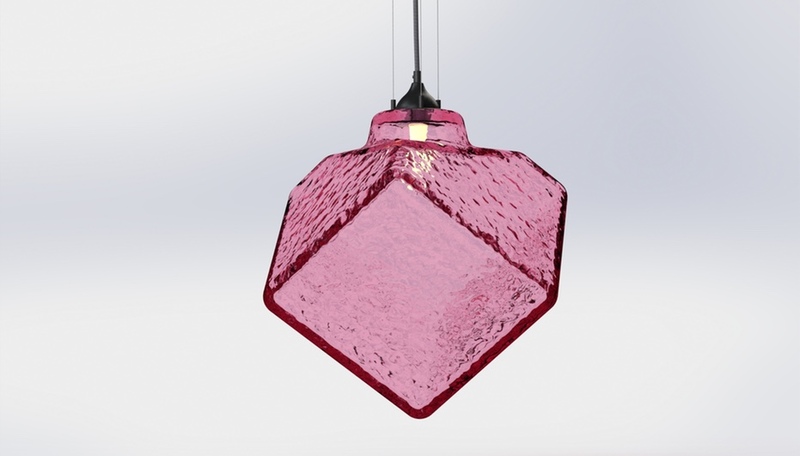 The Munich firm is headed by Gerd Pfarré, who once did lighting design for Ingo Maurer, among others. 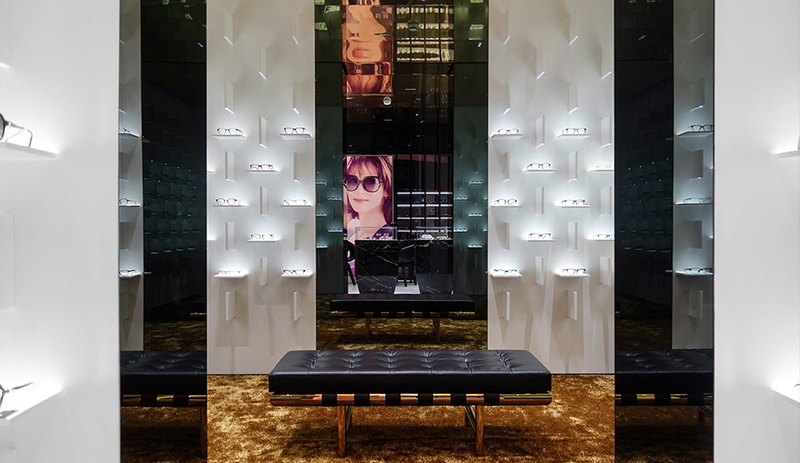 For Bolon Eyewear’s Shanghai flagship store – designed by Ippolito Fleitz Group – the light is not only functional (reducing glare and adding visual comfort), it is artful with individual spotlights highlighting each pair of frames. A horizontal display is illuminated by a hidden LED strip behind the panel, giving it an ethereal glow with visible sides painted in a bright, opaque white. 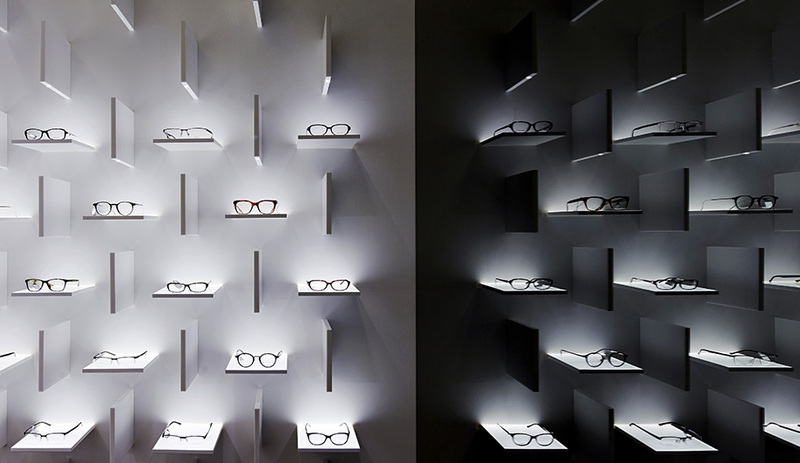 Custom LED spot lights with oval lenses cast strong light onto the eyewear. 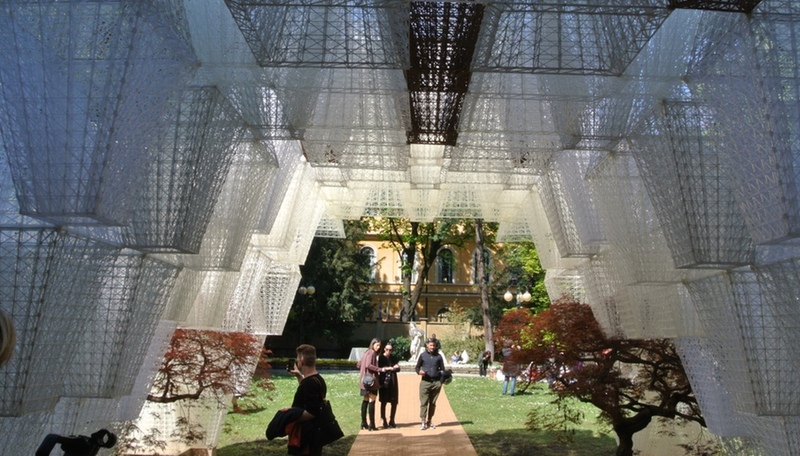 The effect is three dimensional with the wall display appearing to jump out of the wall. 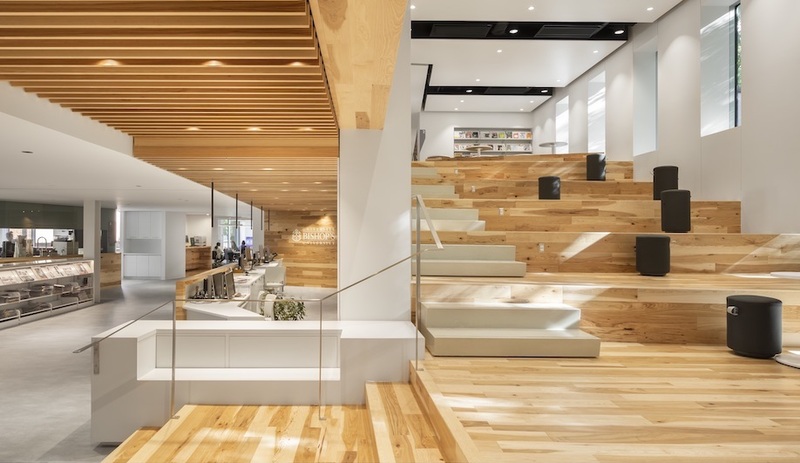 Light is one of the central architectural features of the space, focussed on individual products but also enveloping the room in a warm glow. 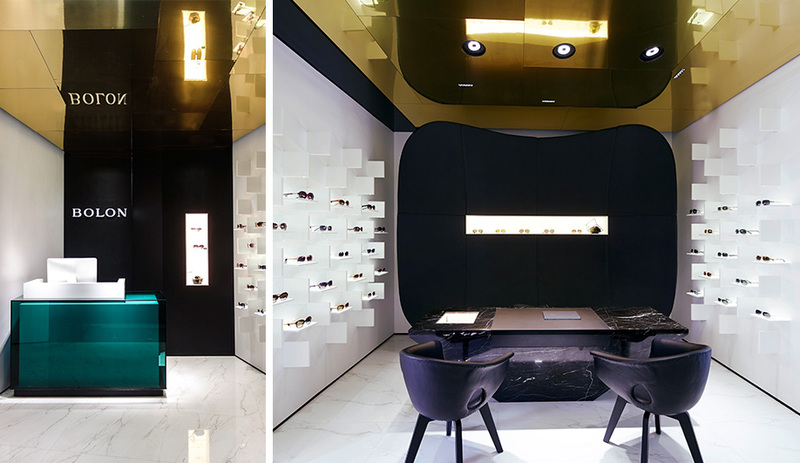 And, though light bounces from the reflective gold-foil ceiling onto the white marble floors and shaggy, gold rug, it doesn’t actually project down from the ceiling to walls or displays as one would expect, effectively avoiding any unwanted shadows. Freestanding display vitrines and a bold turquoise desk have integrated fixtures as well, adding a museum-like element to the glowing space.